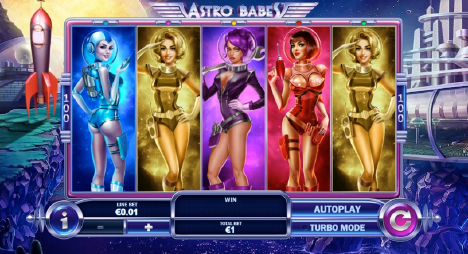 Astro Babes at Fly Casino offers you 100 paylines of out-of-this-world action and the chance to win up 50 free spins! Gwen, Betsy, Violet, Roxy and Bonny. All expandable and can turn wild! When an Astro Babe lands fully on the same colored reel, she will turn into a wild reel. If you are lucky enough, you could end up with 5-wild reels which pays out 5000X. Hyperspace Delivery Bonus feature is triggered when 3 or more rocket scatter symbols land anywhere on the reels and can reward you with up to 50 free spins. The great thing about this game is that winning combinations can form in any direction (from left to right and from right to left). The £350,000 SPORTING LEGENDS cash giveaway will be playing right here at Fly Casino June 18th – July 15th 2018. If you had played in our mega promotion giveaways in the past two years, then you’ll like this prize giveaway as well. In fact, you’ll swoop into Fly Casino even faster to play with a new DOUBLE TICKET feature! It’s a multi-draw promotion that will issue 11,380 cash prize awards ranging from £10 to £5,000 without any wagering requirements on prizes won at Fly Casino! With 11,380 chances to win, everyone has a chance at winning an unlimited amount of cash prizes. For every £10* in total wagers made on the stated slots, you will earn one (1) ticket entry for four weekly drawings. HOWEVER, if you gain ticket entries during each of the first three (3) weeks of this promotion, then you will earn DOUBLE ticket entries for ALL of your game play during week four! You many earn unlimited tickets and win unlimited prizes. 110% Sunday! On Sunday from 00:00GMT until 23:59 GMT, all members on their deposit of just $/£/€30 or more will receive a 110% bonus up to $/£/€110.00. 77% Up to $144.00! From 00:00GMT until 23:59 GMT, all members on their deposit of $/£/€30 or more will receive a 77% bonus up to $/£/€144.00.